Including information on whether your company may be eligible for a Business savings account, our Opening a Business savings account FAQs will help you to get started. Is my business eligible to open a Business savings account online? Who is an Authorised User? What happens if my Company has more than three Directors or major Shareholders? What happens if my Company has major Shareholders who are not also Directors? Do I need to send in any evidence of identification for my Company or for the Authorised Users to open my account? What happens if the information retrieved from Companies House about my Company is incorrect? How long will Companies House take to correct and update my details? What is a nominated bank account? Will you inform me once my opening deposit has reached my new Kent Reliance business savings account? Is my business eligible to open a Business savings account online? To open a Business savings account online, your company must be a Private Limited business registered in the UK with fewer than three Directors and major Shareholders. Your details must also be registered and up to date at Companies House. An Authorised User is an individual who is designated to operate the Business savings account on behalf of the Company. At account opening, every Director and major Shareholder of your Company must be set up as an Authorised User so that the necessary identification checks can be conducted on each of them as part of the application. A maximum of three Authorised Users may operate the accounts of a Company at any one time. What happens if my Company has more than three Directors or major Shareholders? Unfortunately if your Company has more than three Directors and major Shareholders, you are not eligible to open a Business savings account with Kent Reliance. What happens if my Company has major Shareholders who are not also Directors? Unfortunately if your Company has Shareholders who are not Directors, you are not eligible to open a Business savings account with Kent Reliance. Do I need to send in any evidence of identification for my Company or for the Authorised Users to open my account? Details about your Company and its Authorised Users will be retrieved and verified from Companies House. Once you have submitted your online application, before allowing you to fund the account, we will check the identity and address of each Authorised User. These checks are carried out electronically to make it as easy as possible for you. Sometimes we are unable to carry out the checks electronically and we may ask you to send in some additional evidence of identification by post. We will let you know if we need any additional information at the end of your application. Details about your Company, Directors and major Shareholders retrieved from Companies House will not be editable within your application. What happens if the information retrieved from Companies House about my Company is incorrect? If inaccurate or incomplete information is retrieved from Companies House, before submitting your application, you will need to contact Companies House and correct your details. How long will Companies House take to correct and update my details? Companies House should tell you how long it will take to correct and update details held on their systems; however this is usually 2-3 working days. 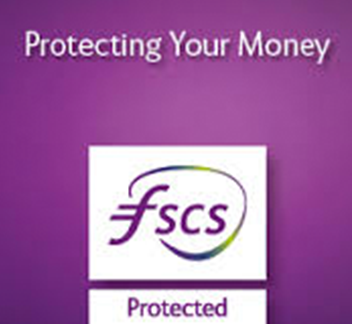 Your Company will need to have a valid UK Bank or Building Society current account held in the Company's name. The account must allow transfers to be made and received electronically and will be known as the nominated bank account. We will need the sort code and account number for the nominated account to complete the application. All deposits into and withdrawals from your Kent Reliance account must be from or to the nominated account. Will you inform me once my opening deposit has reached my new Kent Reliance business savings account? Yes, as soon as your opening deposit has reached your Kent Reliance Business savings account, an email and SMS (if a mobile number has been registered) will be sent to each Authorised User confirming receipt of funds. A letter confirming that the new account is open will be sent to the trading address of your Company once the initial deposit has been received.